Are you a CDL driver? Jobs are not so easy to find are they? What are you going to do? Who are you going to call? How easy are you finding it to navigate the World Wide Web looking for a job? Maybe you have starting using the phone to look for new CDL driver jobs, how is that working for you? It is obvious that there are not enough hours in the day for you to work the job you have and still look for another job. You know, a job that would actually pay the bills. That is exactly why CDLjobs.com is in existence. We are here to serve you and help you find the next more interesting, more satisfying, better paying job. Are you interested? Whether you are looking for owner operator or company CDL driver jobs, you are sure to find the right one that is suited to your needs from the array of opportunities made available on CDLjobs.com. If you are looking for a company job, we can give you a choice from many trucking companies that we know are quality, professional companies who offer their employees the best employment packages in the business. Our carrier selection coupled with our search directory makes us the premium destination for drivers looking for the next driving opportunity. Come on CDL driver, jobs are waiting for you at CDLjobs.com! We can help you with your CDL driver job search because we have the most unique website on the internet today. We have the most comprehensive listing of truck driving jobs and industry interest available. Our site offers up to date news, a trucker’s blog, information on weather and road conditions as well as a newsletter with information on current events affecting drivers today. We also offer you links to other sites that affect your life as a CDL driver and, of course, up to date information on trucking jobs all across the country. Our trucker’s blog is not only great for chatting back and forth between experienced drivers on current topics; it is also great for the young driver that is just getting his or her feet wet in the industry. This is a great way to go from being green or wet behind the ears to becoming well educated on issues that will affect you today, tomorrow, and into the future. CDLjobs.com offers you all the help you need to become the most effective and efficient driver you can be. Stop looking everywhere for a new gig. Don’t waste your time applying for job after job after job. 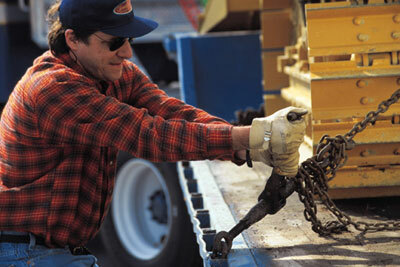 Let us here at CDLjobs.com help you in all your trucking needs, especially in finding CDL driver jobs.